OH NO! Please – let’s get together and save this building. Mr. Zarachuk, please – don’t demolish a 250 year old structure. Community history and its buildings should be preserved – not lost at the cost of redevelopment. Couldn’t agree more. As I’ve always maintained, you don’t have to own a historic building to appreciate their character and history. I want to be clear — under present township ordinances, there is absolutely nothing preventing the developers from demolishing this historic landmark on Lancaster Avenue. Tredyffrin Twp does not have a historic preservation ordinance prohibiting the demolition of historic buildings. I had hoped that after the beautifully restored 18th c farmhouse on Pugh Road was demolished a few years ago that there would be movement to protect the historic properties. Sadly, that has not happened. There’s 1.5 acres on this property, surely Summit Realty Advisors could figure out a way to build their CVS drive-thru drug store and still save the historic building. Not to disparage CVS and its drive-thru but is that really the best use of this valuable property? I’m assuming that the corporate office has determined there is a need for another drug store at this location. Destroying this beautiful and historic building would be criminal and very short sighted. I can’t believe that the township I pay taxes for had no historical preservation rules! That’s disgraceful! Residents can’t even change out a toilet seat without the township stepping in requiring freaking permits!!! TE, get your priorities straight!! This historic property should be preserved, AND do we really need another CVS?!!?!!? If you allow the demolition of that structure and every other one like it, to make room for car dealerships and pharmacies, TE township turns into just another causality of suburban sprawl. No character, no distinction to its borders, just another “drive through” area off of Lancaster Avenue. Come on TE, lets respect the structures that were built by the people that settled this area and made it what it is today. If we ignore and destroy the past, we cannot learn from it for the future! Since the township doesn’t have any rules to preserve historic buildings, what about the county or the state? Please do not change Wayne and ruin this beautiful HISTORIC landmark. I vote no. Keep it the way it is. I vote NO – Leave the building. I went to 2 proms there back in the day. Respect the history and beauty of this building!!!!!!!! We need to preserve the value of the past!!!!! If Tredyffrin Township or Chester County do not have laws regarding the protection of historic buildings then the state should step in to protect this building. No development should be allowed to proceed until this building is protected from demolition. According to the article it is in good condition. It should be preserved for its historical significance and beauty. Please find an alternative to the destruction of this historic building. If it is not possible to repurpose the building, at least relocate it. How can you think of destroying it. My family has roots in Tredyffrin Township going back to the 1600’s. Who in their right mind thinks this area needs yet another drug store?! Crazy. We can not let this happen. It was bad enough to lose the Mile Post Inn for drugstore. We can not continue to lose our past. I can’t believe this is the best use of that space! There’s a CVS two minutes from there in either direction. What a waste of an historic building and a prime location. I am not happy with nor am I in agreement with the plans for this location. If this is an historical building, which I believe it is, It should not be demolished. Where are our representatives when we need them? Another CVS…really? I have no objection to the CVS if, and only IF, they preserve the building, and incorporate it into their site plan either as a stand-alone, or as part of the store itself. Historic buildings should be protected by the township so that, while their use can be changed, the original building can be preserved. It was an unimaginable human effort it to build a stone building using tools available in the 1700s. They fitted these massive random shaped stones together carrying them higher and higher as the walls were raised. These structures were built to last ‘forever’ and should be looked at as monuments to our past human achievements rather than potential parking lot space. Other countries around the world protect their heritage, so should we. We already lost the historic Mile Post Inn building across the street & a convenience store was put in its place. Save this historical structure, known locally as Covered Wagon building. We don’t need more nondescript strip mall buildings on the Main Line. These enormous drug stores are popping up everywhere because the belief is that once liquor sales are privatized in Pennsylvania, it will be allowed only in free-standing buildings, not in strip shopping centers. That’s why we’re seeing so many huge CVSes and Rite Aids and, I believe, Wawas. To demolish this beautiful building to make way for yet another CVS behemoth/liquor store would be tragic. Please don’t demolish the Covered Wagon. There is a Rite Aid right acroee the street. It doesn’t need a CVS. This is a beautiful old building that has been restored and has a tenant. Even if this were not so, I would not want another drugstore there. Between Wayne and Paoli, there are already 3 CVS stores, 2 RiteAids, and 3 grocery stores with pharmacies. I plan on writing to the president of CVS and letting him know that as a resident here, I do not want our historic landmarks destroyed. This would be a travesty. We have precious little of our history remaining….tear it up and build crap is what happens. As everyone has noted, there are pharmacies all over the place, but few historic buildings. This is not progress in my opinion. I won’t shop there if that building goes…no matter what goes in there. if they tear down that building i will stop getting my medication from cvs! andhope othersboycott cvs! Everyday as I turn down my street, I am so pleased and proud to live in an area that has such a beautiful building. Please do not even consider changing this property. Good grief. This is horrible. For a CVS with a drive through? Destroy a historic building that contributes to the character of the area? What are they thinking? They’re going to destroy this beautiful historic building?? To put in a drug store?? I am appalled. The commissioners should buy it and make it into a museum. You are right, it would be a great place for a historical society and museum. Make it happen. The problem is if the township denies what is a contemplated use in that zoning district, it will amount to a taking which means the township has to pay fair market value for the property. That means our tax dollars going up. Many of you that are complaining about the possibility that this building could be torn down are the same people who complain about tax increases. Just because something is old, it doesn’t necessarily give it historical significance. That corner isn’t suburban. It’s urban with high density. To be clear, I am not suggesting that PC or BOS deny the application because there are no grounds. As I said in my latest post, the Planning Commissioner hands are tied — they cannot deny the development project because it includes the demolition of a historic building. There is currently no township ordinance protecting historic properties so cannot be used as a reason for denial. Even National Historic Register properties are not currently protected from demolition in Tredyffrin Twp. The best we can hope for is that the developer heard the suggestion that they see if there is a way to rework the CVS plan and drive-through which would save the historic building. Even though the proposed CVS is directly across the street from a large Rite Aid, the property is zoned C-1 and they have a right to build it. I AM NOT suggesting that the township purchase the property! YES!! Good for you. You know how this works. Like you I will not use any CVS nor would I use any store on that property if it were demolished. Rally your community and take a stand against demolition of this beautiful historic property. .sorely the is another place to make your money how much is enough? 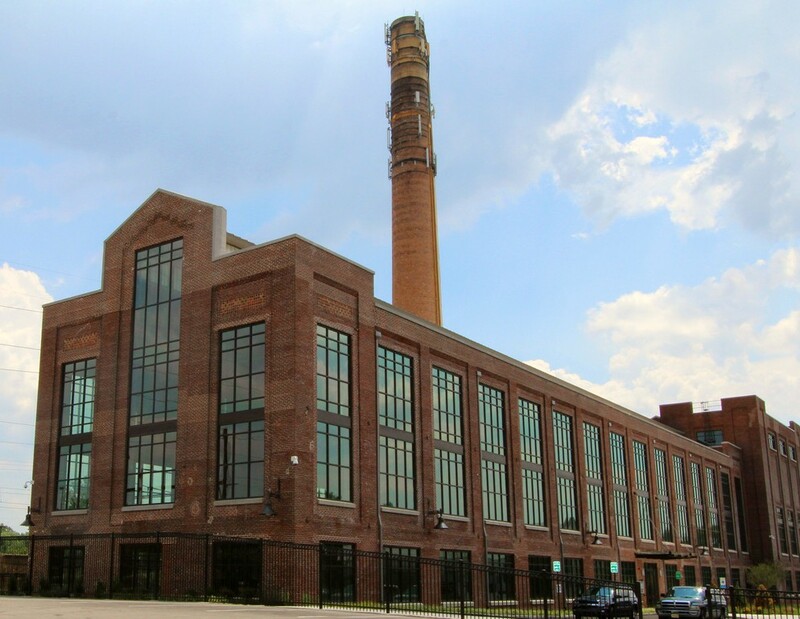 This building and its location at the main crossroads of our community is a landmark, a vital, anchor location. It is Strafford’s tie to its historical past. The Covered Wagon Inn structure dates to Revolutionary times, when Washington’s army marched by in 1777. If we raze it, we risk loosing the historical charm of this small community forever. I would be in favor of redevelopment of this property, but with a plan sympathetic to the preservation of the original historic building. What bewilders me is why CVS wants to build a Drive through there, with a modern Rite Aid about 100 yards west and another CVS about 1-2 miles East on the very same road. Chatham MA on Cape Cod fought a battle with CVS who wanted to close and take over the only grocery store in town a couple of years ago. There are any number of people who walk to this excellent little market and the next closest food store is a Stop and Shop in Harwich, several miles away. There was a huge petition/letter writing campaign which (including me) which ended with a new Chatham Village Market being constructed next to the CVS and adequate parking for both. The campaign not only saved this market, but also save jobs. How do we go about establishing a township ordinance that protects historic buildings and prevents their demolition? Preserving the Covered Wagon Inn is an act of respect for our region’s historic legacy. The name Covered Wagon probably refers to the Conestoga Wagon. I have appealed to my daughter, a Conestoga High School grad, to join me in signing the petition. I am more than a sentimental Main Line Matron…I am an economic participant. If CVS is going to disrespect the wishes of the community to preserve this historic legacy…I will take all of my future business to Walgreens. Sign the petition and give this effort economic impact. I’m all in for preservation! I am a Radnor resident so have no sway in your township, but I live very close to this historic building and have always appreciated its character. I know there are many others in the same boat. Is there a formal petition or other movement that I/we can sign onto? Do we contact the developers? CVS? State reps? Thanks Lisa. I know that many residents in Radnor Township feel similarly to residents of Tredyffrin Township about historic preservation and saving the Covered Wagon Inn. 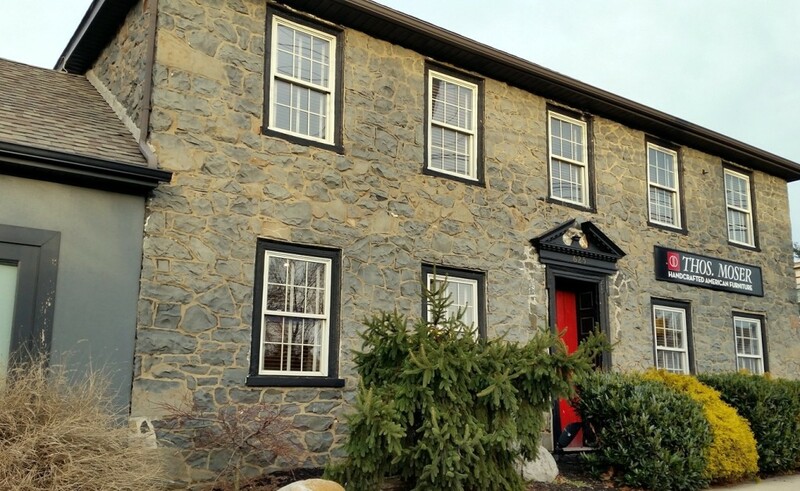 Radnor Township has done a much better job with historic preservation than Tredyffrin Township. I know that I sound like a broken record, but every historic building in Tredyffrin is ‘at-risk’ for demolition. There is no preservation ordinance and nothing to protect the buildings from development, whether commercial or residential. If nothing else, the “Save the Covered Wagon Inn” movement has brought much-needed awareness to historic preservation issue. I remain hopeful that in the case of the Covered Wagon Inn, we may be able to save it — it’s too early to tell. There is a ‘Save the Covered Wagon Inn’ Facebook page, https://www.facebook.com/SaveCoveredWagonInn and the Change.org petition that you can sign located at: http://tinyurl.com/SaveCoveredWagonInn The petition has nearly 4,100 signatures and growing daily. Please pass the link to friends and neighbors. 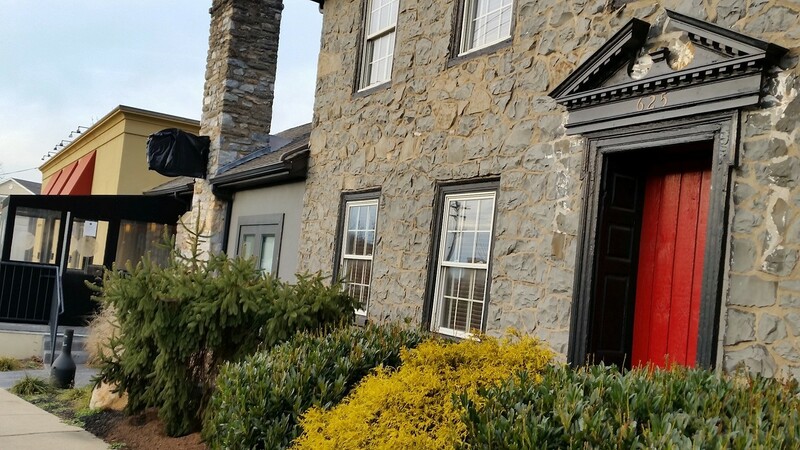 Although not a legal document, the petition is certainly an indicator to Tredyffrin Township and the developer, how important this building is to its residents (and neighboring residents in Radnor). Thank you for your support. so there is a cvs in wayne, one in paoli and a rite aid in wayne( new) catty corner from the wayne cvs..it seems with the demographics changing, as demonstrated by the rise of assisted living properties, there must be a need for a drug store on just about every cornere as well.. at least they aren’t planning a car dealership!